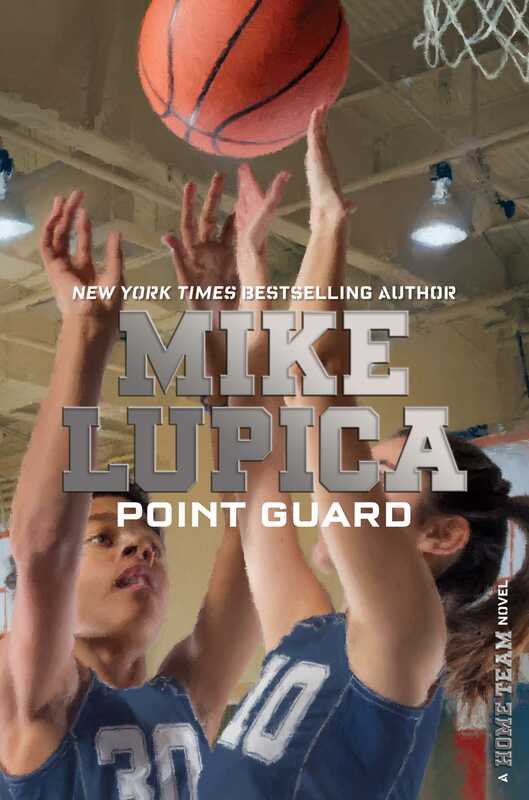 Gus and Cassie have always been on the same team off the field, but in this third novel in New York Times bestselling author Mike Lupica’s Home Team series can they stay friends when they’re on the same court? Everyone assumes that Gus, whose family is from the Dominican Republic, is a baseball guy. But this year Gus is even more excited about basketball than any other sport he’s ever played. He’s been practicing some new moves and lately he’s more surprised when he misses his shot than when he scores. Plus now that he’s convinced his friend Teddy to try out for the team and Jack’s shoulder is healed, it looks like Walton’s home team will be unstoppable. But this isn’t going to be the season Gus expected, because their team is getting a new player—and she just happens to be one of his best friends. Gus knows Cassie is more than good enough to compete on the boys’ team, and besides they really do need a point guard, so why isn’t he able to shake the feeling that she belongs on their bleachers rather than their bench? And to make matters worse, with their center Steve Kerrigan constantly making comments about his Dominican heritage, and Steve’s dad voicing his views on immigration as he runs for office, Gus is starting to wonder if he really belongs in Walton after all. Can Gus find a way to bring the home team together both on and off the court, or will all these prejudices block their shot at a winning season? Should a girl, even a great athlete, play on a boys’ basketball team? Much as eighth grader Gus values his friendship with Cassie, he hates having her on the team. He’s not even sure why. Is he just intolerant? The team’s center, Steve, sure is. Along with his mayor father, Steve despises immigrants and their families, and taunts Gus for being Hispanic. But maybe basketball will help Gus—and even Steve—change for the better. With lots of basketball action, this fast-moving novel combines sports excitement and timely themes about what makes a town—and a country—great. 1. Gus is the focus of this Home Team novel. Discuss his character, including his strengths and weaknesses as a person. What is his family like? Describe his relationship with Angela. 2. Gus says early on, “I like basketball even more than I like baseball.” Why do you think Gus prefers basketball? What position does he play on the team? Discuss how he practices for a game. How does his performance change as the season progresses? 3. At the opening game, Gus thinks to himself that Cassie should be in the stands “where he honestly felt she belonged.” Why does he feel that way? How do his feelings interfere with his friendship with Cassie and the interactions of the four friends? Discuss why, and how, his attitude changes by the end of the novel. 4. How do you think Cassie feels about Gus’s reaction to her joining the team? How does she handle being on the team? Why does Cassie start spending time with Steve? Describe her relationship with him and how it develops. 5. Gus’s mother once told him that “Sometimes admitting you’d been weak was a way of showing how strong you really were.” How does this relate to Gus’s decision to tell Cassie that he’d been wrong? Describe his attempts to apologize and how it finally works out. 6. Describe Steve’s character, using specific examples from the novel. How does Gus feel about him when the basketball season starts? Why do you think Steve loses the school election? How does he change, if at all, by the end of the season? 7. Steve’s father is the recently elected mayor, and is described as “another politician who makes immigrants, or even the children of immigrants, sound like they were the devil.” Discuss the hostility in Walton toward the growing Hispanic population. How are Hispanics stereotyped by other townspeople? How do Gus and his family handle the hostility? 8. Why doesn’t Gus like when Steve calls him Gustavo? Find other examples in the story of name-calling or of the misuse of a person’s name. Why do some people use such derogatory words against minority groups and females? Why are these words so hurtful? 9. Steve’s father has said, “You can’t say anything these days without offending somebody.” How does Steve embrace his father’s words and use them as reason to minimize the hurt that results from his name-calling? Why do he and his father express so much hostility toward others? Angela believes some of it comes from fear. What does she mean, and do you agree? 10. Although the narrative focuses mainly on Gus, it sometimes switches to Angela. Compare Angela and Gus in terms of interests and strengths, noting similarities and differences. Describe Angela’s role in Gus’s conflict with Cassie, and her role in getting Gus involved with Marianna’s campaign. 11. When they are discussing Cassie, Angela says to Gus, “I’m just saying that maybe you and Steve are more alike than you think.” How does Gus feel about her observation? Why do you think Angela believes that the two boys are similar? Do you agree with her? 12. Why does Marianne want Gus to give her nomination speech? How does Gus prepare for the speech, and why do you think he ultimately abandoned what he wrote down? Did you find Gus to be persuasive? What are the main points of his speech? How do they relate to the rest of the novel? 13. Teddy doesn’t make the team but asks to be team manager. Why does he want to be manager, and what does the position entail? How does the role suit some of his strengths? Give examples of how Teddy interacts with the coach and the players. 14. What kind of instructor is Coach Keith? What are his beliefs about sports and how his players should approach basketball? Explain why he speaks with Steve and Steve’s father after the game against the Mustangs. How do you think he persuades Steve and his father to apologize? 15. Coach Keith gives advice on handling negative comments from other teams about Cassie. Later Gus ponders advice that Teddy once gave him about dealing with a kid who was bothering him. Discuss these approaches for dealing with people who present problems, and add ideas of your own. Talk about the different ways Gus responds to such problems throughout the story. 16. During one talk with his players, Coach Keith says that when he was a player he didn’t always like his teammates, but “I never let it affect the way I played the game.” What prompts him to talk about this? Why is this good advice for an athlete? Would this be helpful advice in other circumstances? 17. Near the end of the final game against the Raptors, Steve stops shooting and will only pass the ball. Why? How does the coach handle it? How does Gus help Steve out, and why? In what way does that assist in the game’s outcome? 18. In the last chapter, what does Gus mean when he thinks, “Even in the gym at Moran High School, the best Walton was right here”? Discuss earlier references to the “best Walton” and what that concept means to different characters. Do you think things have improved in Walton over the course of the novel? Cassie talks about Mo’ne Davis, a girl who pitched a shutout in the Little League World Series. Have students each choose a different female athlete, a team with female athletes, or a women’s league to research—no matter the time period. They can focus on kids, college players, amateurs, or pros. Students should start by writing down substantial questions and then use print and digital sources to help them find answers. They should then prepare a multimedia presentation for the class explaining what they learned. Press conferences often follow professional sports games. Have students work in small groups to prepare and present a postgame press conference. The group should plan questions for reporters to ask, and answers from the Warriors players and possibly the coach and manager. The questions should pertain to a specific game, and the answers should reflect the players’ characters. Have the students play roles and present the press conference to the class. Gus describes Steve as the kind of guy who treats people like dirt and then says, “Hey, I was just kidding around, don’t be so sensitive.” Have students meet in small groups to discuss this kind of interaction and why “don’t be so sensitive” can be a powerful way to stifle objections. Have them talk about good ways to handle mean remarks like Steve makes. Most Americans descend from someone who came here from another country. Have students choose an immigrant from the twentieth or twenty-first century who made a difference. It could be someone famous or someone in their family. Students should write essays with facts about the immigrant, why they came to the US, what their contribution has been, and the difference that the student thinks the immigrant made. Gus’s speech to nominate Marianne is short but still very persuasive. As a class, talk about what makes a speech persuasive and what topics lend themselves to this kind of speech. Have students choose a topic that matters to them and prepare a short speech to try to persuade others to agree with them. Have them practice and edit the speeches in pairs before presenting to small groups or the whole class. Guide written by Kathleen Odean, a former school librarian and Chair of the 2002 Newbery Award Committee. She gives professional development workshops on books for young people and is the author of Great Books for Girls and Great Books about Things Kids Love. 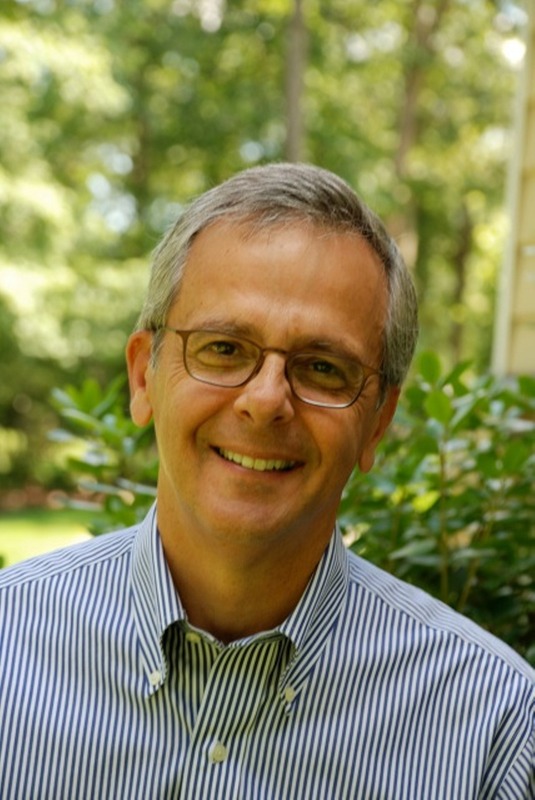 Mike Lupica is the author of multiple bestselling books for young readers, including the Home Team series, QB 1, Heat, Travel Team, Million-Dollar Throw, and The Underdogs. He has carved out a niche as the sporting world’s finest storyteller. Mike lives in Connecticut with his wife and their four children. When not writing novels, he writes for Daily News (New York) and is an award-winning sports commentator. You can visit Mike Lupica at MikeLupicaBooks.com.